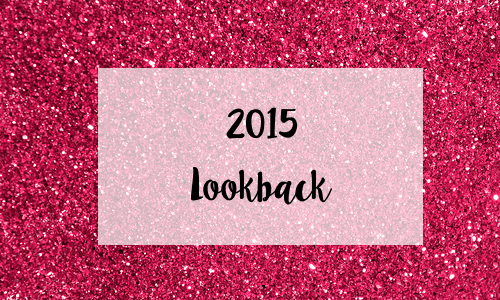 As the end of the year is fast approaching, I decided to have a look back at the year I've had and the good things that happened in terms of my blog, uni and personally in 2015. 2015 was a big year for my blog, as in the summer I decided to completely re-launch it with a new design and more social media pages - I told myself that if I did this, then I would want to blog more and so far that theory has seemed to work. I've written 54 blog posts since September which is a lot, considering I hadn't blogged in a year prior to that. I've also connected with lots of other bloggers and read their posts, something that always flares up my creativity and after reading a few, I've usually got a list of what I want to write on my own blog! This year saw me finish my 1st and go into my 2nd year of my Music Journalism degree at Solent, and I'm so surprised that I've stuck at it and been loving uni, since the end of 2014 was pretty horrendous. I love my course and the tutors and being in new, quieter accommodation helps a lot. I've just been plugging away at my work this year and trying to get the best grades I can - after all, I'm there to learn. I haven't had the best year in the world, due to lots of anxiety and different issues getting in the way of getting to what I want, but this summer was pretty happy. I had an internship in London and travelling there everyday and being in such a big and bustling city made me feel so determined to live there one day. Also hearing my sister break her leg really was the best end to the year - not. That's my 2015 lookback - I hope you all have a great 2016 and let me know how your year has been in the comments.